Sunshine, blue sea, typical Provencal architecture, beautiful landscapes, cicadas’ song… You could call them clichés but they happen to be true at the Dolce Fregate Hotel and Golf. Even Commandant Alan Shepard who was the first man to play golf on the moon describes this seaside course as a unique one among all of the courses he’s been to! Getting to Provence is even easier this year since you can take a direct Eurostar train from Saint Pancras International and be in Marseille 7 hours later. 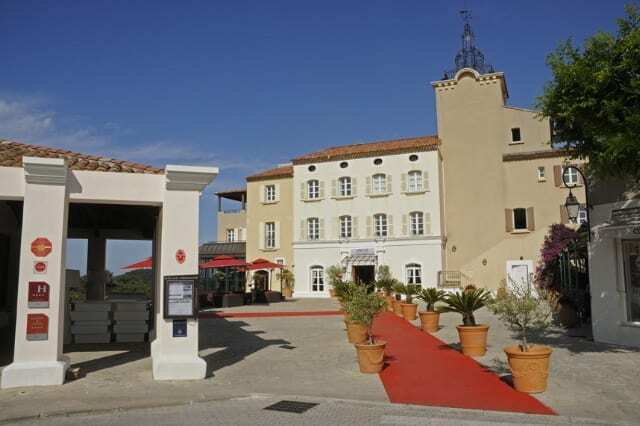 Then a 45 minutes drive will take you to Dolce Fregate halfway between Saint-Cyr-sur-Mer and Bandol where you will settle down in this village like hotel. Although it was built in 1992 on a hillside in the middle of vineyards it seems that this “village” has been there for ages with its bell tower, its mas the traditional farm houses of Provence, its piazza and its main building painted in warm colours. Fifteen new Bastides looking like these Provencal country houses have been recently built and are to open this July. 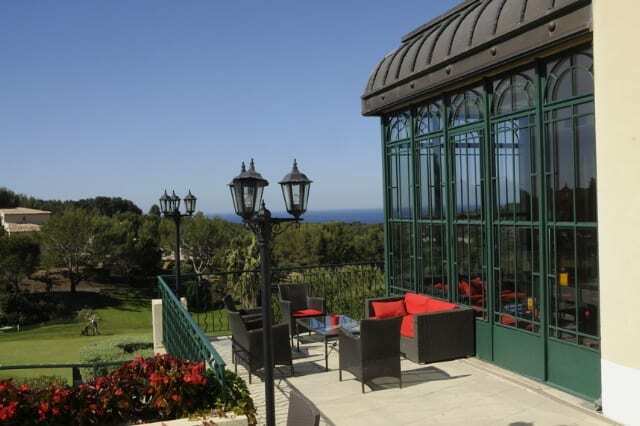 They are true houses with two bedrooms, a kitchen and a terrace overlooking the sea and the golf course. It’s a secluded hamlet with its private swimming pool where you can enjoy privacy and the facilities of the hotel. But most of all the landscapes and the view of the rugged coast and of the golf course are breathtakingly beautiful. All the rooms have a sea view and believe me you will miss it once back home. The two golf courses designed by Ronald W. Fream both overlooking the sea are accessible to players of all levels. While waiting for your partners to play their ball you can let yourself be immersed in this combination of nature and man made beauty especially from many tee-boxes and on hole 10. 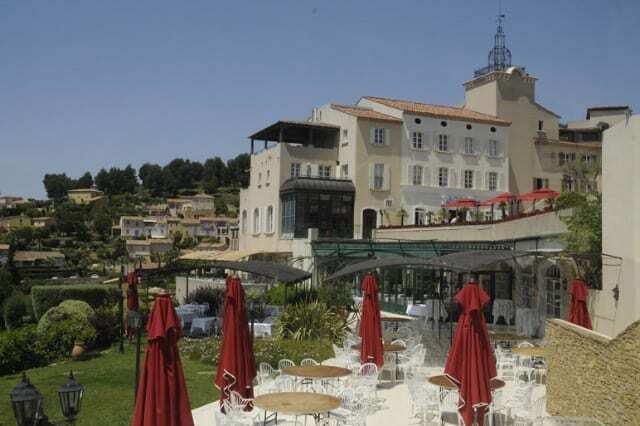 Of course you will also enjoy the view from the two restaurants whether you have a quick lunch at the clubhouse Brasserie, a tempting and hearty breakfast or a gastronomic dinner on the terraces of the main restaurant, Le Mas des Vignes. Good wines, tasty food, wonderful view. Who could ask for more? 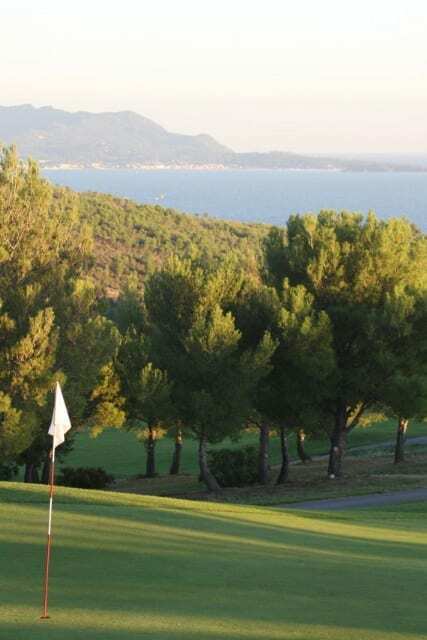 For the first time this year a Pro-Am tournament will take place at the Dolce Fregate on October 2 and 3. 36 teams will compete and players from all over the world are welcome. A 2,400euro package (1700£) for four including a training course on October 1st, 2 green-fee per person, a cart, breakfasts, a gala dinner and a closing cocktail party, will allow a team of 3 amateurs and 1 pro to take part of this high level yet friendly event. Visiting the Golf Club web site you will find many offers for golf and lunch, early morning or evening golf rounds for one or two golfers and much more. Whether golfer or not there is plenty to do in and around the hotel. Of course there is a lovely outside swimming pool with big sun decks while the Spa and the heated indoor swimming pool await you for a relaxing moment. Being close to Bandol you will be in the heart of the Bandol vineyards one of the best in Provence. The hotel is surrounded by vineyards but if you have a car go to “Terre Brune” a few miles away from the hotel to discover a beautiful vineyard, extraordinary organic wines and a great wine maker Reynald Delille who will passionately introduce you to his estate and his white, red and rosé wines. Since the 60’s the Delille family grows organic vines long before it got so popular and they consider themselves as vineyards gardeners taking care of the soil as well as of the vines. There also is a restaurant “La table du Vigneron” with a renowned new chef this year concocting tasty meals for lucky few people (booking is highly recommended). And of course the Mediterranean sea coast has much to offer; Bandol , Sanary-sur-Mer and Cassis are 3 lovely seaside resorts with beautiful sandy beaches to enjoy,. Busy Marseille is also worth a visit with its famous “Vieux Port”, the old fishing port and its 2 new museum the Mucem and the History Museum of Marseille that opened in 2013 and that recount the history of Marseille and the Mediterranean cultures in an interesting and instructive way. And of course its famous “bouillabaisse” the inescapable fish dish so popular in Marseille. A good one is made with at least 6 different fish species and is quite expensive. 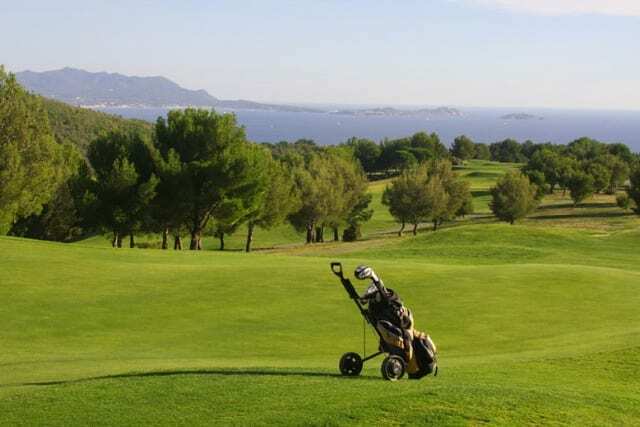 For a great golfing experience or for a relaxing holyday on the French Mediterranean coast the Dolce Fregate and the Bandol area have a lot to offer. The Dolce Vita is not only to be found in Italy!